The users of iPhones are increasing with every launch of a new model. However, using iPhone devices sometimes can be a challenge due to their compatibility and connectivity issues. It's even more difficult to recover the lost files either due to malware or accidental deletion. If you don't have recent files backup, you can use iSkysoft iPhone Data Recovery software to recover lost data from iPhone efficiently. However, the program has some drawbacks too. Are you looking for a replacement for iSkysoft iPhone Data Recovery? And here are top 6 best iSkysoft iPhone Data Recovery alternatives and similar programs you could try. Joyoshare Data Recovery is one of the best iSkysoft iPhone Data Recovery alternatives. The program is an excellent solution for various situations, including iOS upgrade failure, accidental file deletion, locked and forgotten passwords or device damage. The software can recover your data using three methods. It can restore the files directly from your phone, iTunes Backup and iCloud backup. 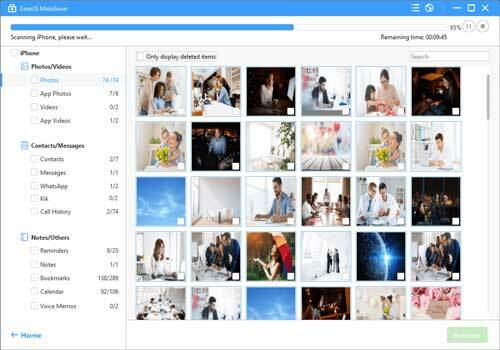 Joyoshare program can recover lost videos, photos, messages, contacts, or even call logs, etc. It can support over 20 file formats, ensuring that every data type can be recovered. The software also has easy to follow procedures. One of the common complaints from many iPhone users is that some data recovery programs have complicated dashboards. However, in Joyoshare , you can restore all your files following only three steps. Connect your device to the PC, run a scan, preview the files you wish to recover, then save. 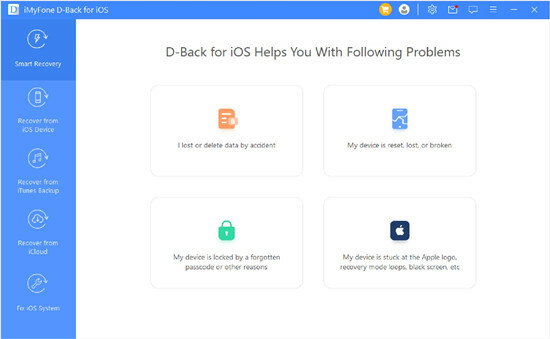 Another iSkysoft iPhone Data Recovery alternative is iMyFone D-Back, which allows data recovery from iPhones, iPads, and iPods. The program has four data recovery methods. 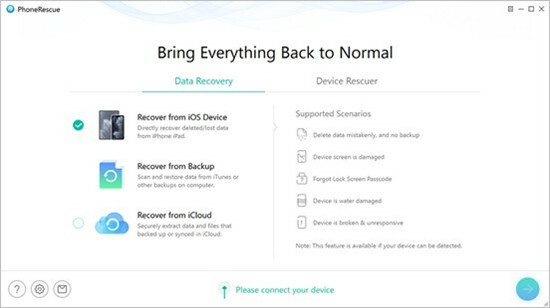 It can enable you to retrieve data using Smart Recovery, from iCloud backup, from iOS devices, or from iCloud backups. 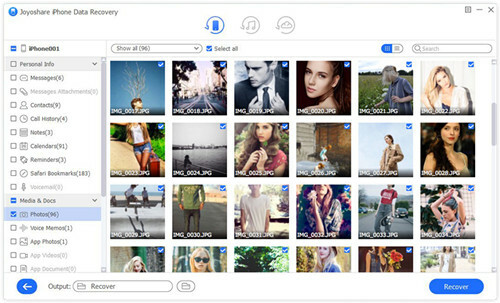 iMyFone D-Back can recover up to 20 data formats, including text message, videos, and photos, etc. The software also has high data recovery speed. It is faster than iSkysoft iPhone Data Recovery, and it has an excellent user-friendly interface. iMyFone D-Back can support non-stream Apps. For instance, it can provide you with recovery from WeChat, which many data recovery software can't do. Additionally, it has a better preview interface. Once the data is recovered, you can check specific data content and dates. The tool offers a convenient, user-friendly experience to the users. EaseUS MobiSaver is another great alternative to iSkysoft iPhone Data Recovery. It's also helpful in recovering data from iPhone, iPad or iPod touch. It recovers files from the SD cards and internal storage. The program can also support both iOS and Android devices, especially iPhones. Once you retrieve the files using EaseUS MobiSaver software, you can export them to your computer and other storage devices. It supports various data formats such as HTML, VCF, and CSV. 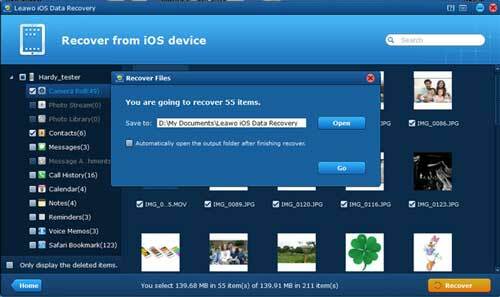 The recovery software also allows you to preview files before restoration process. Its interface is simple to navigate, and it does not require users' experience. Being among the best alternatives to iSkysoft iPhone Data Recovery, Jihosoft iPhone Data Recovery is typically intended for Mac and Windows. The software allows a 100% precision in retrieving lost iPhone files. The software has a free trial version capable of restoring missing data from iOS devices, from iTunes, or iCloud backups. It also has a vast compatibility scope with iOS devices such as iPhone SE, iPhone 6, and iPhone 5. Another excellent feature of Jihosoft iPhone Data Recovery is that it recovers over 20 types of data including calendars, notes, WhatsApp, App data, reminders, call history, and iMessage, etc. With three recovery techniques from iTunes, iCloud, iDevice, you're free to preview files. This iSkysoft iPhone Data Recovery alternative boasts a recovery of 22 different data types. Going beyond retrieval of call history and text messages, it's able to recover music, voicemail, and Safari bookmarks, etc. Moreover, iMobie can recover files from third-party apps. It can retrieve data lost due to either unsuccessful upgrade or restored factory. Additionally, the software offers the three common iOS data recovery techniques. You can perform a direct scan by connecting your device with a PC and export lost files onto the desktop. It also enables data retrievals from iCloud and iTunes. 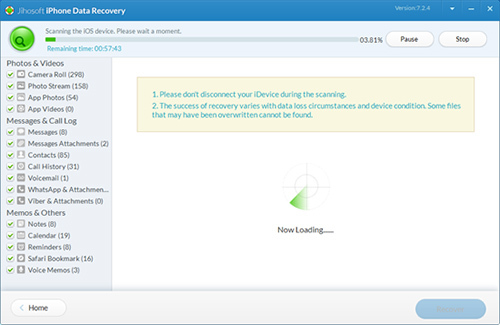 Leawo iOS Data Recovery is an excellent software for Windows and Mac. It enables users to recover 12 different files types such as voice memos, notes, and attachment to messages. The data recovery tool has an easy-to-use interface which is fast to learn. It also allows file search, preview, and filters, and giving you a high accuracy in data retrieval. Whether looking for the best iSkysoft iPhone Data Recovery alternative, your choice should depend on the features of the specific software. Many of these iPhone data recovery tools are affordable and have straightforward interfaces. Software such as Joyoshare iPhone Data Recovery is becoming more and more popular among many iPhone users. The program will help you recover all your lost crucial data from music, contacts to voicemail, etc.